Well what can we say about The Lobster. What can we not say? A film like nothing you have never seen before, while the film’s resemblance to the director’s earlier 2009 film Dogtooth may be startling, The Lobster represents another genre entirely in today’s current film market. The film’s USP is that it follows the transformation of singles who are transformed into wild animals and expelled into the woods if they fail to find a romantic partner in less then 45 days. It should here be noted that the characters’ eventual transformation into animals is not some sort of supernatural affliction. Instead, it comes as an eventuality of the rather unusual (to say the least) package of a 45-day stay at a hotel-like prison that angles all of its activities towards its inhabitants coupling up. It is clear that the hotel in many ways is a microcosm for today’s society, all of its inhabitants possessing some affliction as their character titles remark. In this way the hotel can be seen as housing a land of ‘undesirables’; from looks to personal attitude, Lanthimos categorizes minor physical impediments such as stuttering or having a limp under the same umbrella as being a psychopath or Machiavellian personality traits. All of which are deemed undesirable as the less fortunate are given one last chance to find their soul mate tailored in every way to their own ailment. Apart from Colin Farrell’s David character, all other characters are nameless, only identifiably by their occupation or their most defining characteristic. It could be argued that Lanthimos’ film is making significant commentary on the culture of internet dating where online potentials are identifiable by their most defining characteristics shared within their profiles. However to this, Lanthimos puts forward this upmost stipulation that is seemingly ingrained within the personal psyches of all of the film’s inhabitants; that your mate must have the exact same defining characteristic. 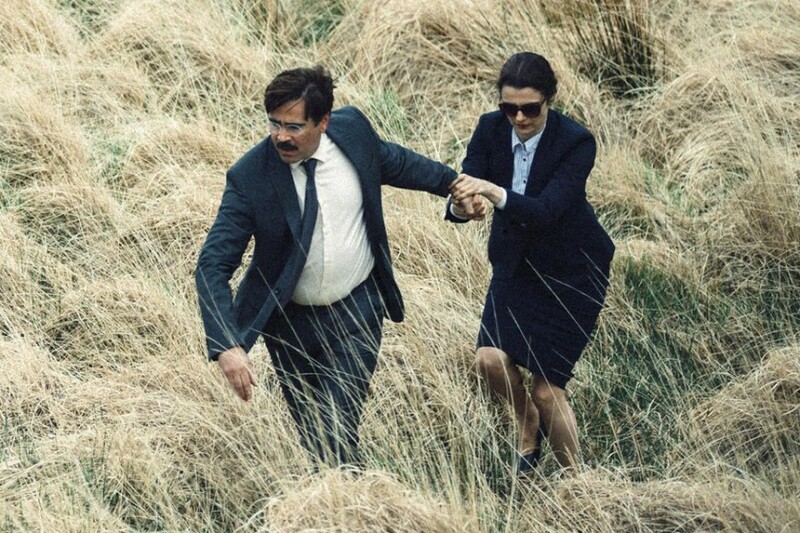 Set in some far off (or maybe not) dystopian future, one of the scariest elements of The Lobster is that its aesthetic is not vastly different from the social aesthetic of the present tense, there being a disturbing lack of technology and cultural indicators to pinpoint the time period of the film. The Lobster is a rather interesting take on relationships and the lengths some people go to find their perfect partner. Lanthimos’ monochrome storytelling bolsters a film that word and mouth cannot carry fast enough. This satire that places characters into a society that frowns on singledom is a tough pill to take, driving its inhabitants to retire to an existence in the Forest of Loner headed by the sadistic Léa Seydoux who would rather die then have to be a part of the film’s bizarre society and its unrealistic rules. While Lanthimos’ film is heavily exaggerated for entertainment, it at the same time presents a very plain speaking picture of how modern day Western societies perceive relationships and the attributes that make someone a suitable mate. Lanthimos and his cast are a perfect coupling, each doing a terrific job in making the awkward tone work. Colin Farrell is probably being the best incarnation of Lanthimos’ desired character type, his now plump figure being the perfect accompaniment to his bland exterior. Perhaps the only downfall of a film of this kind is in its pacing. With a film that can be best described as both quiet and watchful there are going to be moments that could have been shaved off the film’s total runtime. However, Lanthimos also demonstrates the opposite, doing a brilliant job in extending the runtime of several sequences to their limits, such as the film’s ambiguous ending. The Lobster represents a new and interesting tone in today’s film market. While dystopian futures are nothing new, The Lobster is very attuned to the concerns of today’s society, giving the film much power and watchability.